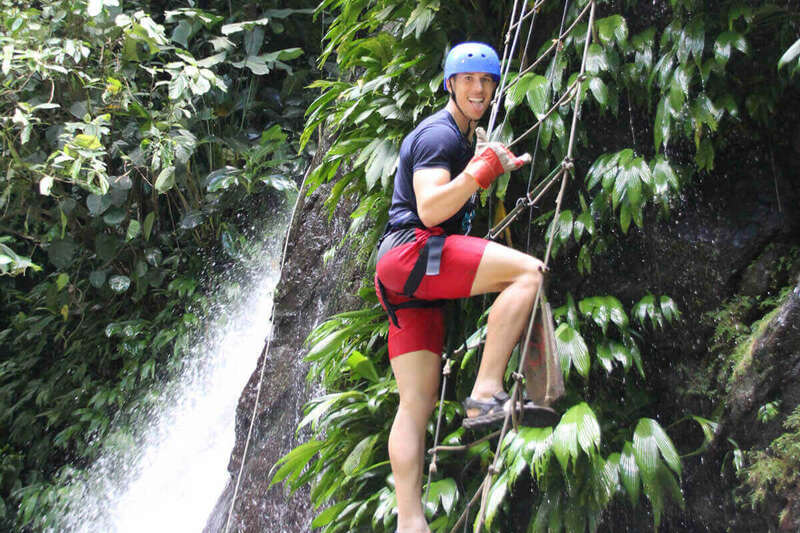 Canyoning is the ultimate mix of adventure! 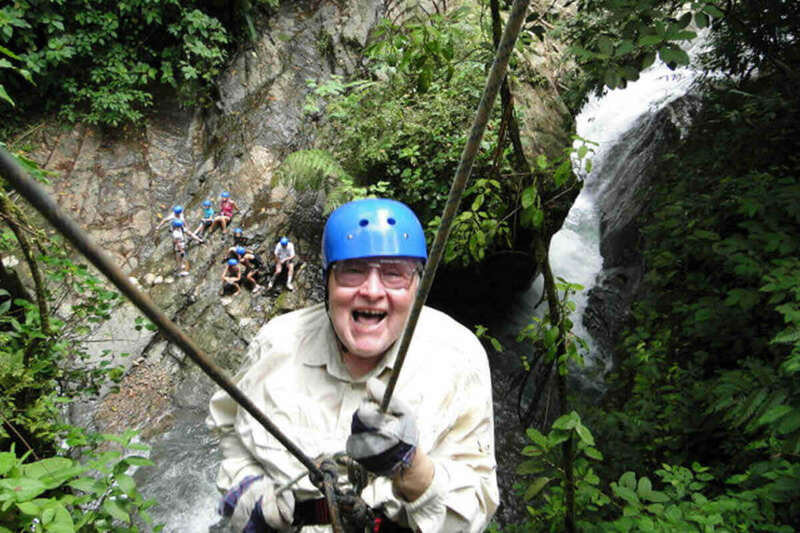 Our tour begins with a 40 minute drive through the beautiful mountains and rainforest of the Manuel Antonio National Park area. Along the way, you will have the chance to see beautiful flora and fauna and discover the secrets that lie hidden in the canyon. Upon arrival, we will begin by handing out your gear and providing you with important safety tips! 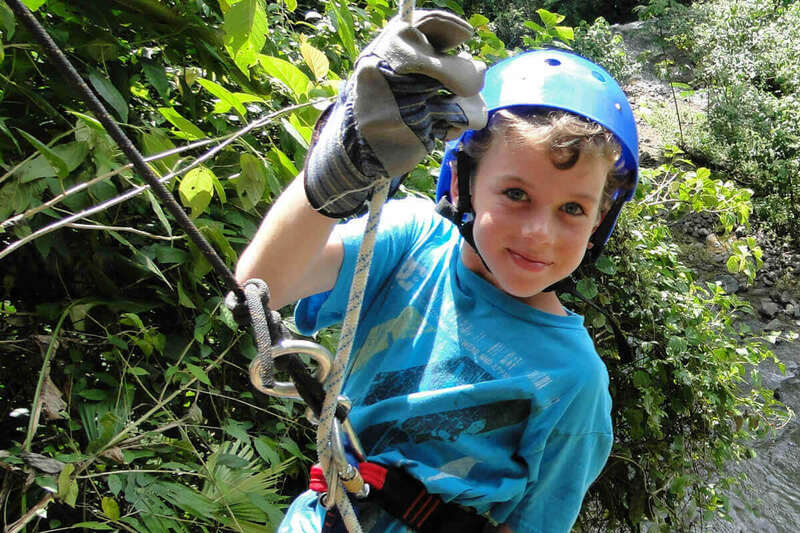 Then, we'll take a short hike to our first rappel where you will begin your adventures. 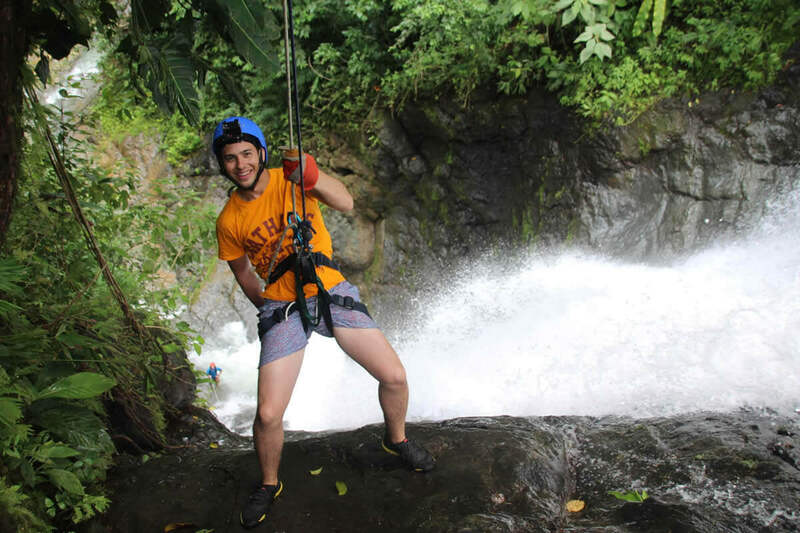 Your first rappel will be down a dry rock face into the canyon, followed by a rappel down on a free fall from the cable to a tranquil pond, from which you will continue on to enjoy three more rappelling opportunities. 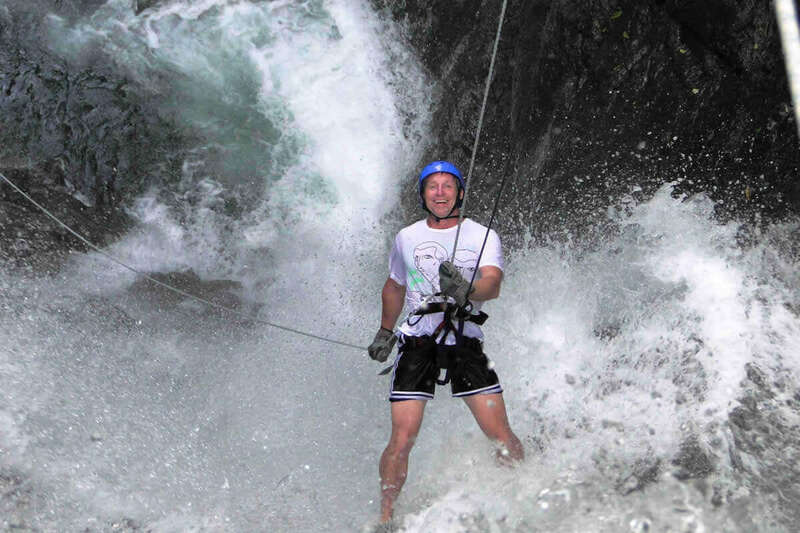 Our exciting rappels take you along waterfalls and down into the beautiful canyon. Two of them are down dry rock face, Two free falls, and the other is along waterfalls. 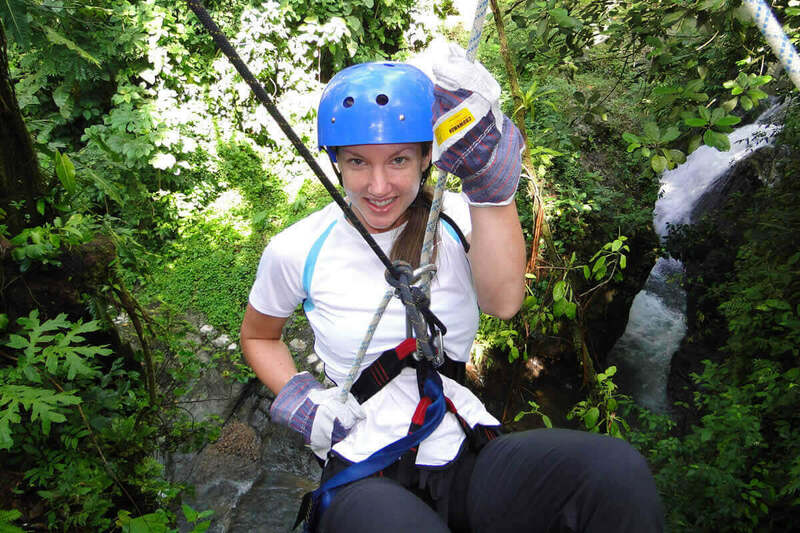 Our guides will keep you safe and ensure that you have a wonderful time. 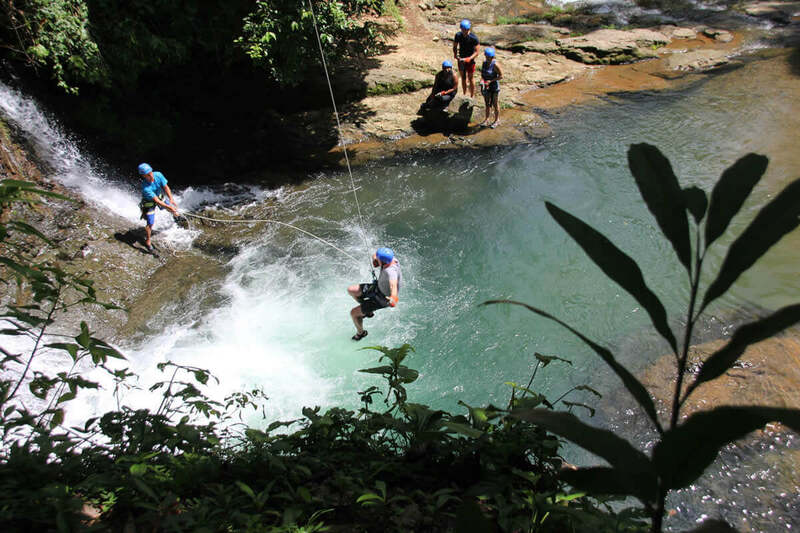 Your adventure will be guided by professionally trained canyoneers and rock climbers. No experience is necessary to come along on this adventure. 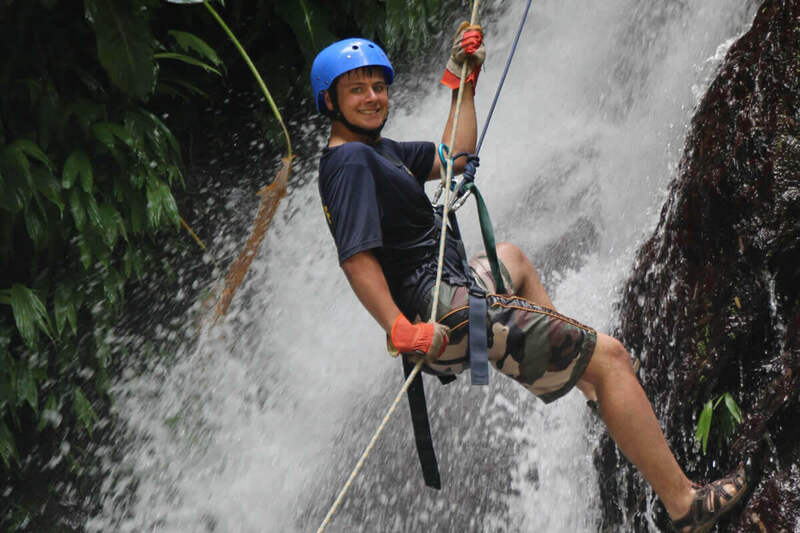 Our guides will train you and provide you with the gear and skills necessary to enjoy our tour. 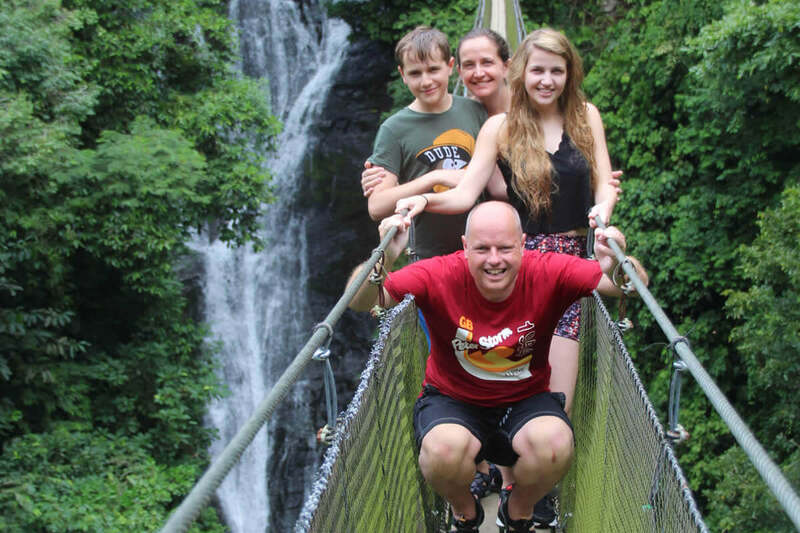 We will also provide you with a delicious typical Costa Rican meal after the tours. It is OK to bring cameras, but make sure that they can either get wet or have a waterproof case to protect them. 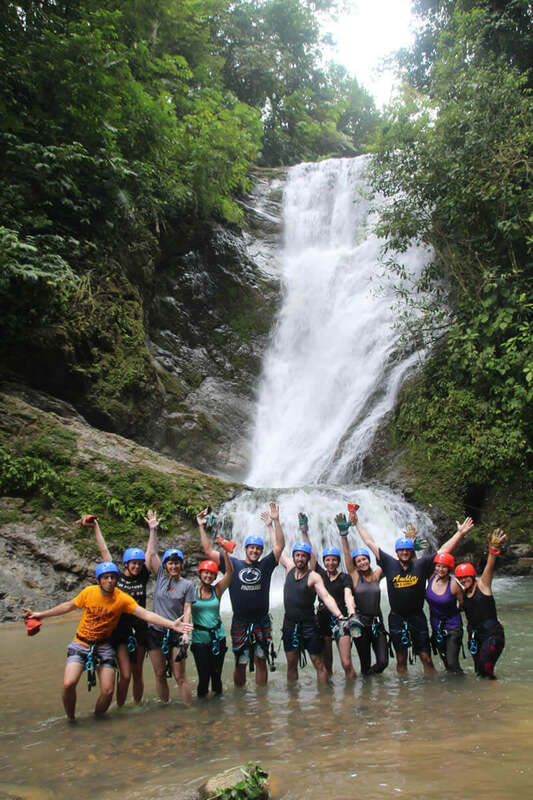 If you would like to participate in the tour with your friends and family, but do not want to do canyoning, we can arrange for you to come with your group and enjoy the gorgeous scenary. 7:30 am - 12:30 am. 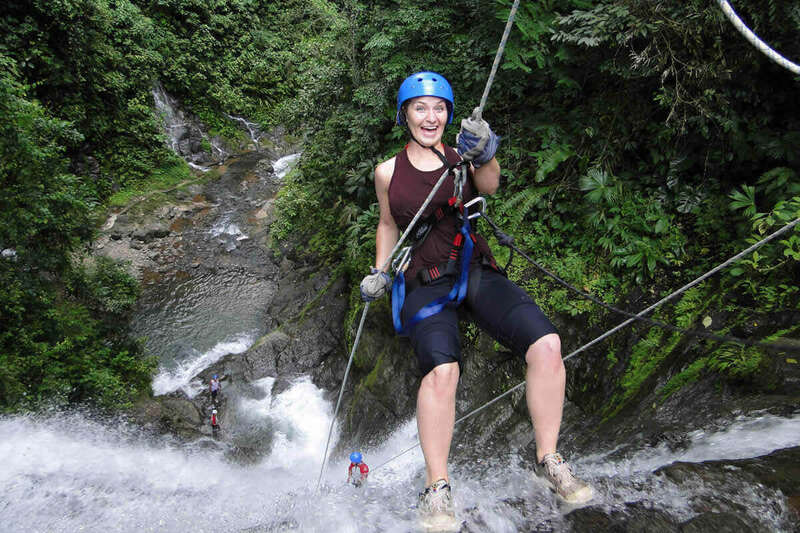 Fast-drying clothes, hiking sandals or shoes, change of clothes for after the tour, towel, and a camera (waterproof).